As you know Twitter is one of the most popular social media sites like others and it does not allow you to download videos from its site on your devices. 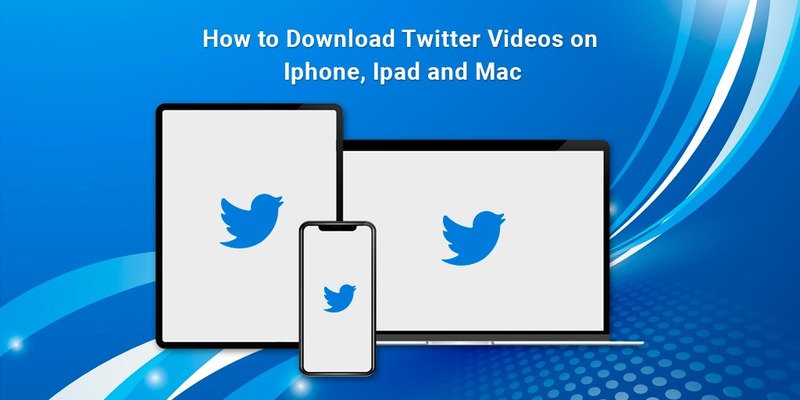 But still, if you want to download videos from twitter then just stay with this article because here in this article I am going to share some tools which will help you to download twitter videos without any hesitation. There are multiple tools available for an individual platform which guarantees you that they will surely download and save twitter videos in your device but genuinely only a few of them are working. So to download twitter videos on your iPhone device you can use an app called “documents by reading” which you can get on the app store. First, of all go to the Apple app store and download ‘documents by reading’ in your device. Launch Twitter in your device and login into your account if have and if doesn’t then just create one. Find the video which you want to download, once you find, click on the three dots button on the top right corner and click on share and then copy the link. Now launch the ‘documents by readable ‘ and click on the browser icon (safari) in the below right corner. Now paste the copied link in the given box in the tool and then hit the download button. And finally if done everything properly, your video has been saved in your device. To download twitter videos on your iPad device you can use the MyMedia app. This will work on both iPhone and iPad. Download the MyMedia app onto your device. Launch the twitter, login into your account. Search for the tweet which has contained your video. Click on the three dots button on the top right corner, click on the share button and then click on copy link. Click on the tweet and then copy the URL path from the URL bar. Launch the MyMedia app in your device. Click on the Browse icon which you may get on the bottom menu. In the URL bar, type download twitter video and hit enter. Paste the link of the video link in the given box. Then click on the download button and wait for a few seconds your video will be downloaded. Follow the steps from above and copy the link of your desired twitter video. Paste the link and click on the download button and you are done. Above I have shared three different methods for three different devices for download videos or GIF files from Twitter Application.